The Basecamp team believes that competency- and mastery-based learning will characterize schools of the future. But unless you’re starting your school from scratch, this shift will involve more than just a technical change. You will also need to change your culture shift to move from a grades-based model to a competency model. What kind of culture do you have now? And what kind of culture will you need to make the shift? Schools cannot afford to skip this step. We follow Heather McGowan closely for the same reason we follow Harold Jarche (see below): because curriculum is always a lagging indicator, we need L&D thought leaders to shine a light on emerging trends. If McGowan is correct that “the most resilient workers will be those who learn faster than their competition,” doesn’t that mean that those workers will have to develop the capacity to learn how to learn while their in school? 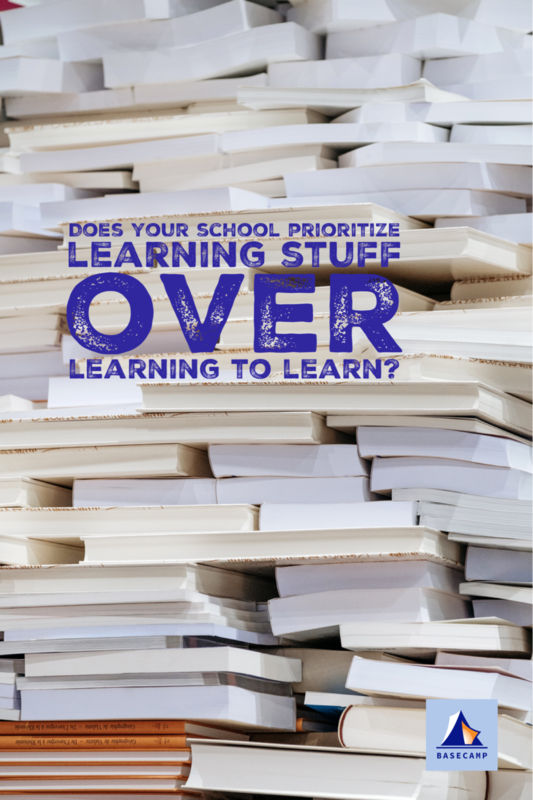 Which therefore requires us to ask: does your school prioritize learning stuff or does your school prioritize learning how to learn? The future will be unforgiving about this. As Jarche points out, working in the context of deep networks requires a different set of skillsets and mindsets. Yet curriculum is always a lagging indicator, so schools are graduating students who are ill-prepared to navigate this new context. How might we evolve the classroom experience to approximate the challenges and opportunities of a deeply networked world? What if... classroom as network?